I'm a firm believer that everything happens for a reason and that there are life lessons to be learned in every situation. Having to deal with anxiety for over half my life has both been a blessing and a curse. 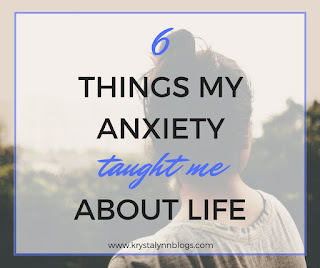 There are days where my anxiety is hard to deal with but there are also days where I feel like my anxiety has taught me more about life than I could have expected to learn any other way. Dealing with anxiety and depression made me grow up pretty fast. I was forced to deal with such strong feelings so that they wouldn't take over my life. Although it was tough, I wouldn't have had it any other way. Having anxiety has made me 'wise beyond my years' (now that I'm turning 30 I don't think I can say that anymore, haha). There are things that everyone goes through, whether they have anxiety or not. 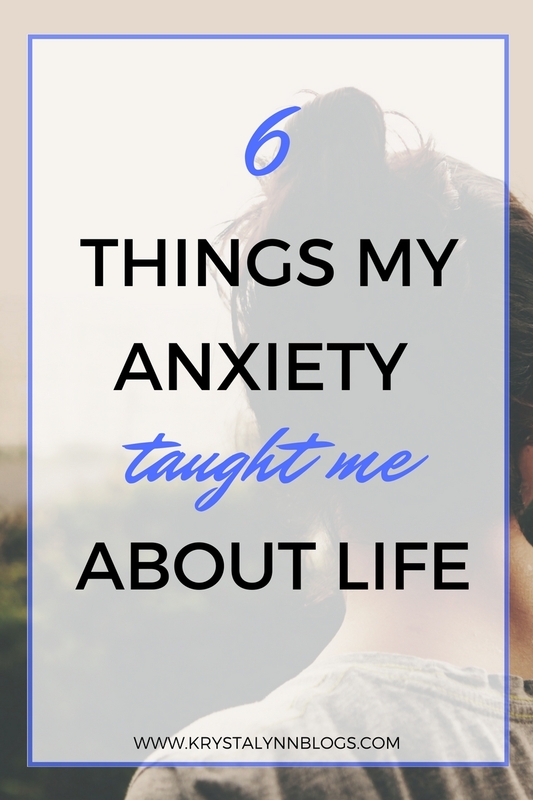 My anxiety taught me how to get through these things a little bit easier (or at least be more aware of them). 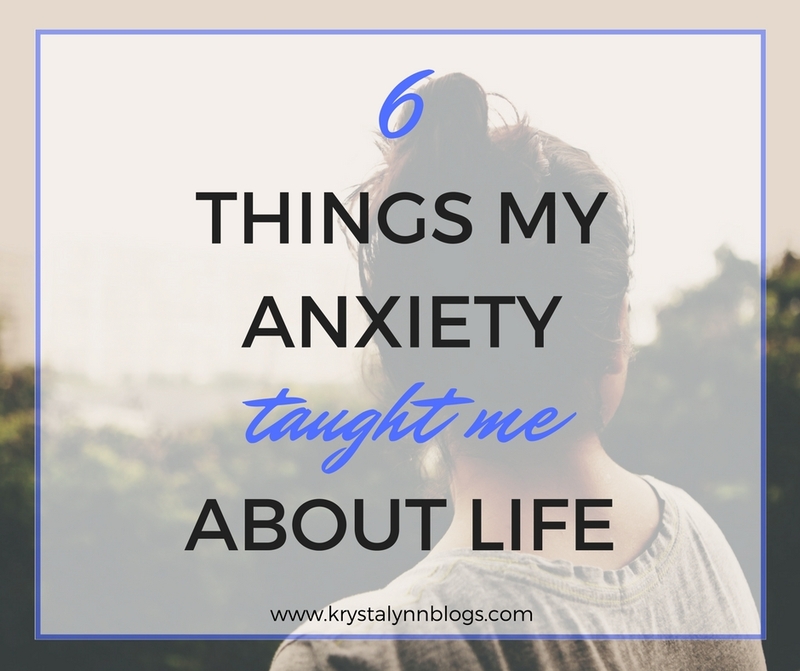 Here are 6 things that I've learned from having anxiety. It doesn’t matter how well someone knows you - they can’t read your mind. If you’re mad, upset, happy, frustrated, you have to TELL THEM or they won’t know. Period. I bet all you want to do is sit around your house watching Netflix. That’s a hobby, right? Having a hobby that stimulates your brain, your creative side, your active side, ANY side, will only help you. It’ll be extra helpful if that hobby gets you out into the world, interacting with other people. Reading is a great hobby to have but think about joining a book club as well, or join a gym so you can practice yoga with other “not-so-flexible-yet” people. Anxiety can make meeting new people seem frightening but when it’s accompanied by a hobby that you both enjoy, it’s a little less scary. Studies show that the quantity and quality of sleep you get greatly affects every system of your body, especially your brain. Your brain needs sleep in order to shut down and repair. If you aren’t giving your body those 7 hours of shut-eye than you can get overloaded with feelings of stress and anxiety. Sleep doesn’t always come easy for those with anxiety. It can leave you feeling wound up and unable to relax enough to drift off. If you find it difficult to fall asleep at night you should check out these other posts I’ve written about getting a good night’s sleep and what to do if you’re having trouble falling asleep. This has been the most helpful for me in terms of my social anxiety. I’m not going to be everyone’s cup of tea. Not everyone is going to want to be my best friend. There are going to be people that I just don’t jive with. That’s OK.
A lot of people have this overwhelming fear of rejection or not being liked. I’m going to give a little bit of tough love here: You need to let this fear go! You are awesome. You are beautiful. These facts will not be proven false if you’re not liked by 100% of the population. When dealing with self-confidence issues like this, one of the most helpful things I can recommend is daily affirmations. I know it sounds silly, giving yourself a pep talk and saying things like “I am likeable. I have a lot of friends. I am interesting”, but reminding yourself just how cool you are really does help. Give it a try - you might be surprised. I bet you’re familiar with this one. Telling yourself “I’m never going to get over this feeling” and then 6 months later you don’t even remember what the situation was. Stress happens, heartbreak happens, embarrassment happens, rejection happens… but so does love, happiness, and laughter. All of it comes and goes, ebbs and flows (excuse my cliches). I can remember countless phone calls to my close friends complaining and crying over breakups, slip ups, or mishaps (I’m so dramatic, haha) and none of it is even relevant anymore. It’s all temporary. A neat way to remind yourself that life goes on is to keep a journal. Not only is writing things down therapeutic but it’ll also give you the opportunity to look back and see what you’ve overcome. As with anything else in life that is worth while - you can’t just snap your fingers and have it be done. Everything has a process. There are “steps” you have to take in order to get where you want to go. I used to try so hard to avoid feeling anxious. Why? It was going to happen anyways. It was inevitable. The best piece of advice I could give to anyone is to just ride it out. Recognize what’s going on inside of you and let it happen. Trying to fight your feelings or your frustration or your stress is just going to make it worse. Don’t make it a monster you have to compete against. Instead, make it an acquaintance that you can cooperate with. Say, for example, that you’re job is making you feel frustrated and overwhelmed. Accept that frustration (because you’re only human and are going to feel these things) and use it to motivate you to find a job that you’d love to do instead. 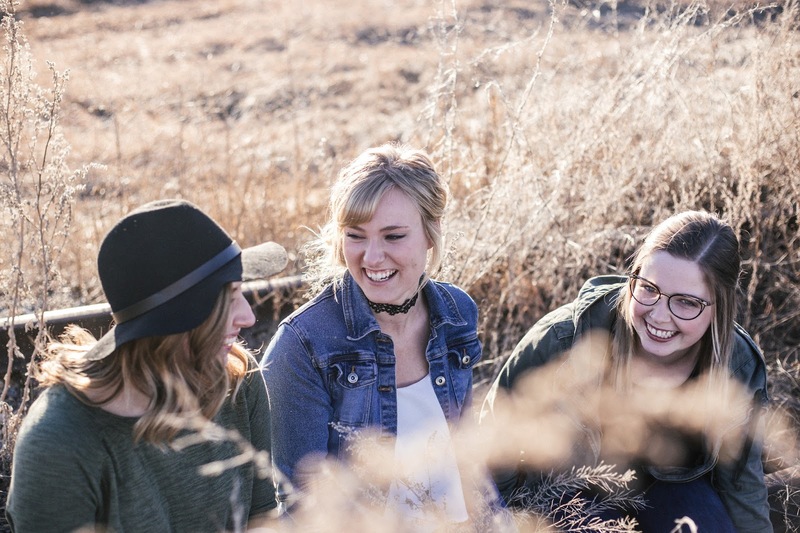 What was the best piece of life advice you've ever recieved?